Play Cash 300™ Casino online for free now! Need to speed at 300kph towards your beloved Twists? 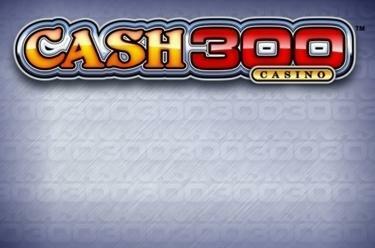 No problem at Cash 300™ Casino! 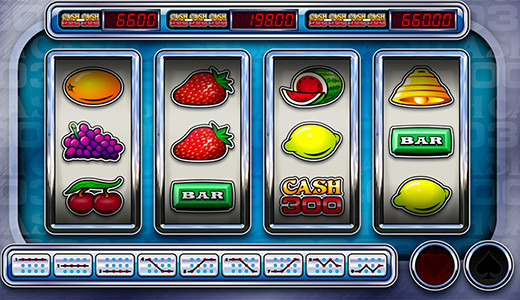 There are 4 reels, a colourful fruit mix, the bell that can ring in your earnings, and of course the ‘Cash 300’ symbol to give a green light to raking in pure Twists! The aim is to fill the 9 win lines with the right symbol combinations. You win when you get 3 or 4 matching symbols that fall side by side along a line starting either from the right or the left. If you earn 2, 3 or 4 ‘Cash 300’ symbols on a line, you get the windfall profit displayed above.